SinoTrailers is a factory of steering dolly and steerable dolly in China. 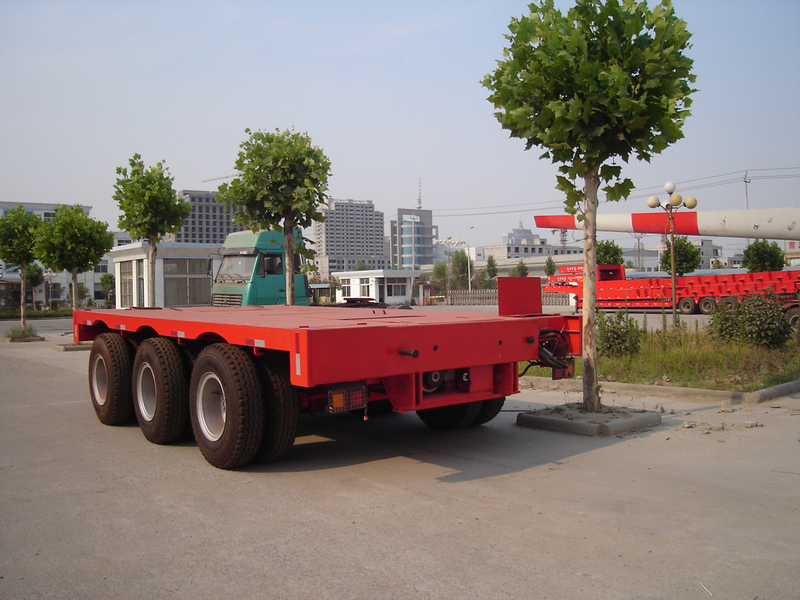 The trailer dolly is a efficient supplementary trailer widely used for long beam and heavy duty cargo which low bed trailers unable to handle, together with help of turntable/bolster, could make the transportation task has minimum turning radius. 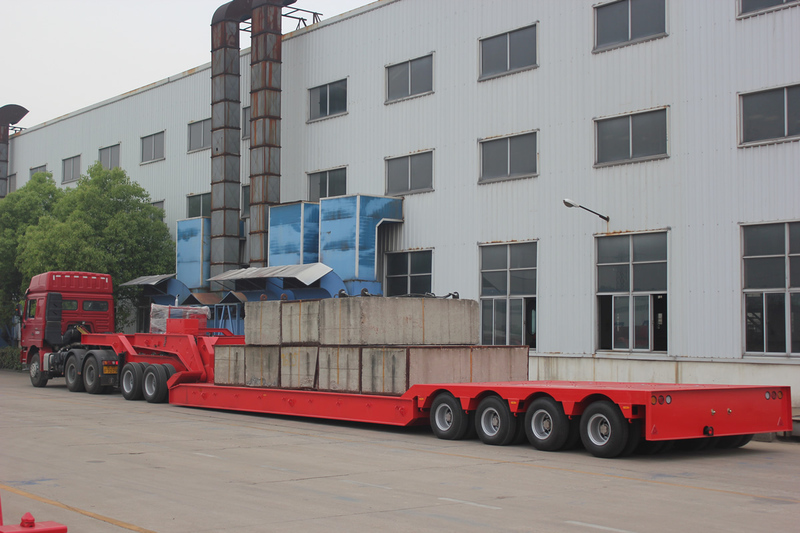 It also called precast concrete beam trailer or section trailer. Weight distribution of semi lowbed trailers normally is half/half, 50% of total weight is on top of rear axles (rear axles could have up to 16 tires), other 50% is on top of prime mover. So, if cargo is too heavy, prime mover will be in overload condition. In this way, steering dolly is designed to bear more weight under king pin of gooseneck to relieve pressure on tractor, make sure every part are in more safe condition during transport process. The towing dolly can increase capacity of a single trailer and share the pressure from gooseneck. 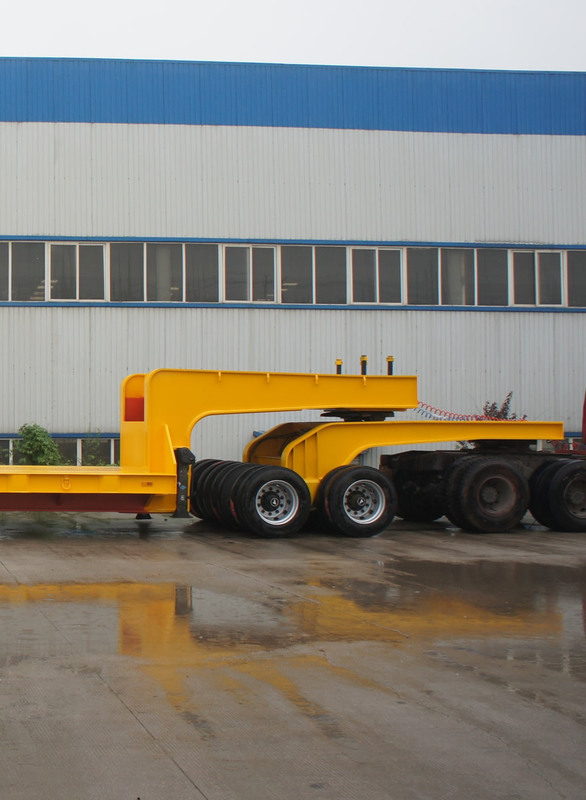 Two steerable dolly trailers can be used as a group to transport long cargo like precast concrete long beam, put turntables (bolsters) on top of dolly, it is the most economic and efficient way to transport long beam cargo, in this method you can have both high carrying capacity and small turning radius. For heavier long cargo, long beam trailer or hydraulic multi axle trailer could be used to transport it. 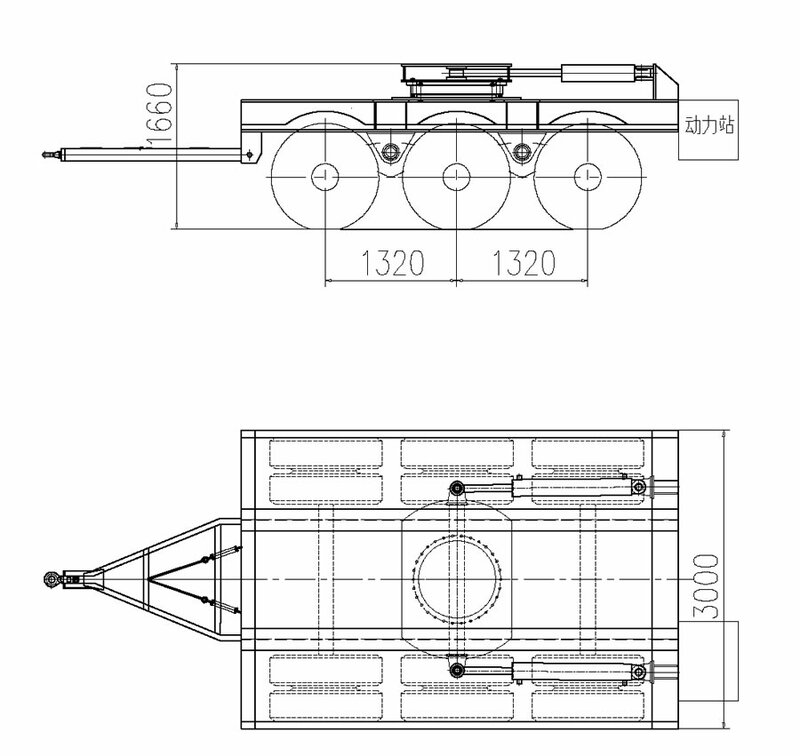 Most dollies adopt mechanical suspensions, they can be replaced to air or hydraulic for different purposes. Normally the dolly has 1 axle to 3 axles.